The English pioneer in housing reform, Octavia Hill, came from a family of wealthy social reformers. But as a child her family faced a sudden change of fortune which sparked a pioneering spirit in her. Faced with the precariousness of her own life, she set to and made a defining contribution to improving the living conditions and housing for the poor of London. Octavia Hill’s story begins in Wisbech, Cambridgeshire, where she was born in in 1838 – a few years before the death of another Wisbech notable, the anti-slave campaigner Thomas Clarkson. Her family were strongly committed to alleviating poverty. Her grandfather was a leading public health reformer in early Victorian Britain. Her father was another inspiration. As a merchant he combined his business endeavours with repeated forays into radical politics, going so far as to support various socialist communes. When his investments went sour, he was left with few financial backers, and the family were plunged into bankruptcy. Her mother moved her three daughters from Cambridgeshire to London where she took a job and encouraged them to do the same. With no formal schooling, Octavia worked from the age of fourteen for the welfare of working people. 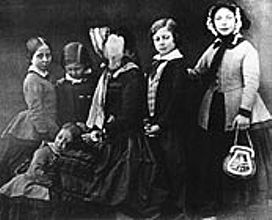 Her first job involved managing a group of unskilled women and girls from a local Ragged School. The experience gave her a taste of plebeian London life even though she was still mixing with the intellectual elite. 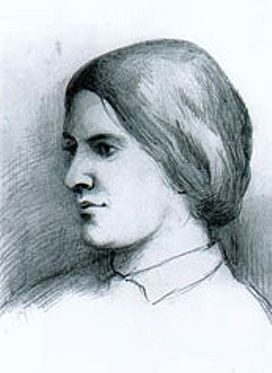 Through her mother’s connections, Octavia Hill came to know the pioneering Christian socialist minister F.D. Maurice. Maurice, who later became Professor of Moral Theology at Cambridge, had a strong influence on her early life. He ‘showed me a life in the Creeds, the services and the Bible’ and ‘interpreted for me much that was dark and puzzling in life,’ she wrote. Another family friend was the anti-capitalist critic and author Charles Kingsley. Octavia realised that her vocation was to be social housing after attending one of his lectures on the role women should play in improving the lives of the poor. The artist John Ruskin suggested she might enter a religious community, but she declined and instead he asked her to manage some derelict houses off London’s Marylebone Road which he bought for her. Appalled at the conditions in which the people lived, she determined to improve the properties. Octavia Hill had scant faith in government policy for the poor. She believed getting involved at grassroots level was the only way to raise housing standards. Working with families, befriending them, and seeing them as individuals, she gradually encouraged them to help maintain their own homes by budgeting carefully and paying their rents. She was able to provid playgrounds for the children, so they could play and dance in the open. In 1884, her enlightened approach was recognised by the Ecclesiastical Commissioners who turned to her to manage and reform their slum properties in South London, notorious for poverty, alcohol abuse, petty crime and prostitution. She turned these estates into model properties, which still paid a return on investment. Throughout much of the twentieth century these estates continued to be let to tenants at affordable rents, even when rent control was relaxed and open market rents substantially increased. These estates hit the news headlines in 2005 when the Church Commissioners decided to turn them largely over to commercial rents despite a challenge from the Southwark Diocesan Synod. Pursuing her goal of providing better living conditions for people, Octavia Hill understood that clean air and green, open spaces contribute to healthy, happy communities. She campaigned for the use of smokeless fuel in London and for open spaces to be maintained for public use. She was one of the three founders of the National Trust, and was influential in the creation of Green Belts around built-up areas. She is also remembered for her successful campaign to prevent building on Hampstead Heath. Although today she is regarded as an significant pioneer of female activism in the public sphere, she was against women’s suffrage on the grounds that “men and women help one another because they are different, have different gifts and different spheres”. She also believed that government provision of social services and old-age pensions did more harm than good, sapping people’s self-reliance. Despite her growing fame, she lived a life of faith and of personal humility. Rejecting any suggestion of a funeral in Westminster Abbey, she continued her work until her death in 1912.